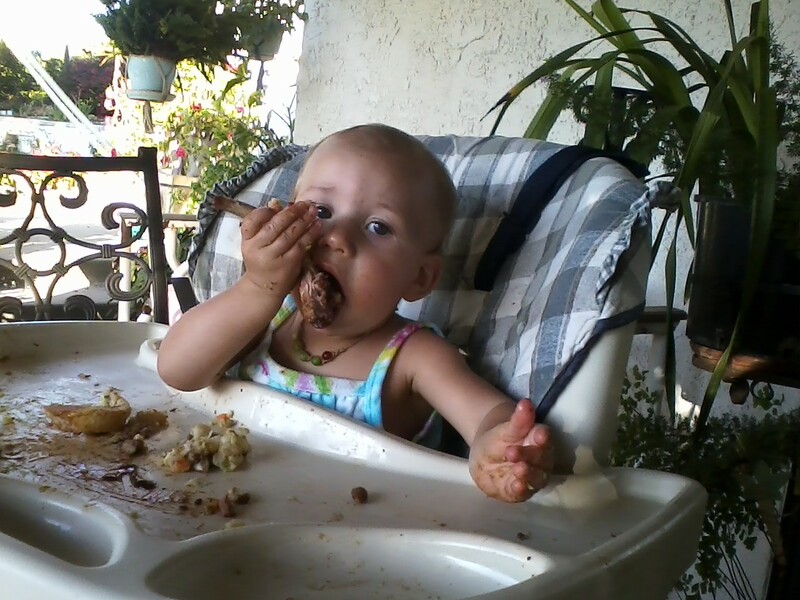 Papa barbequed us up some ribs and they were so good! Mine is like a magic wand; I wave it around reverently and nibble off the edge. Afterward Mama takes all my clothes off and washes me in the little blue pool.